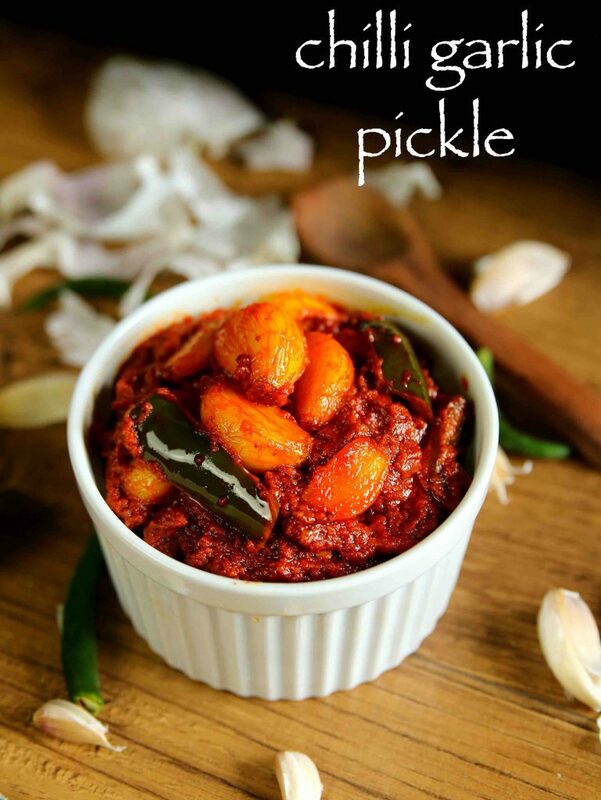 garlic pickle recipe | chilli garlic pickle recipe | lahsun ka achar with detailed photo and video recipe. a spicy and flavorful condiment recipe, mainly used a taste enhancer for daily meals. 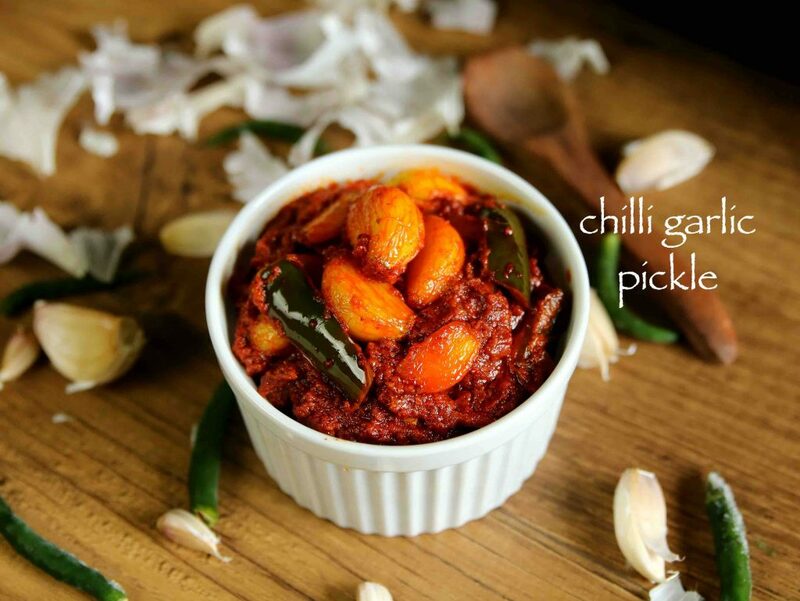 the taste of chilli garlic pickle recipe varies across each states and based on the preference it can be either sweet or spicy with pungent taste. 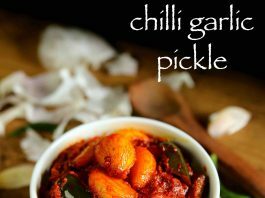 garlic pickle recipe | chilli garlic pickle recipe | lahsun ka achar with step by step photo and video recipe. typically this pickle recipe is prepared just with garlic pods and is referred as garlic pickle. however i have extended this recipe by adding green chilies to make it spicy garlic chilli pickle recipe. this recipe is an instant version and the shelf life should be 2-4 weeks minimum. to be honest i am not a great fan of pickle recipes and i typically avoid it in my daily meal due to spice level and salt content in it. however pickle recipes is a must for my husband and he especially likes it with dal rice combination or even with sambar rice combination. initially, i used to buy store bought pickles, but i was disgustedly surprised with amount of oil used in it. hence i stopped buying and started preparing it by myself with either vegetables or seasonal fruits. but my husband’s favourite one is instant mango recipe and i prepare it with even frozen mangoes too. furthermore some important tips and suggestions for a perfect instant garlic pickle recipe. 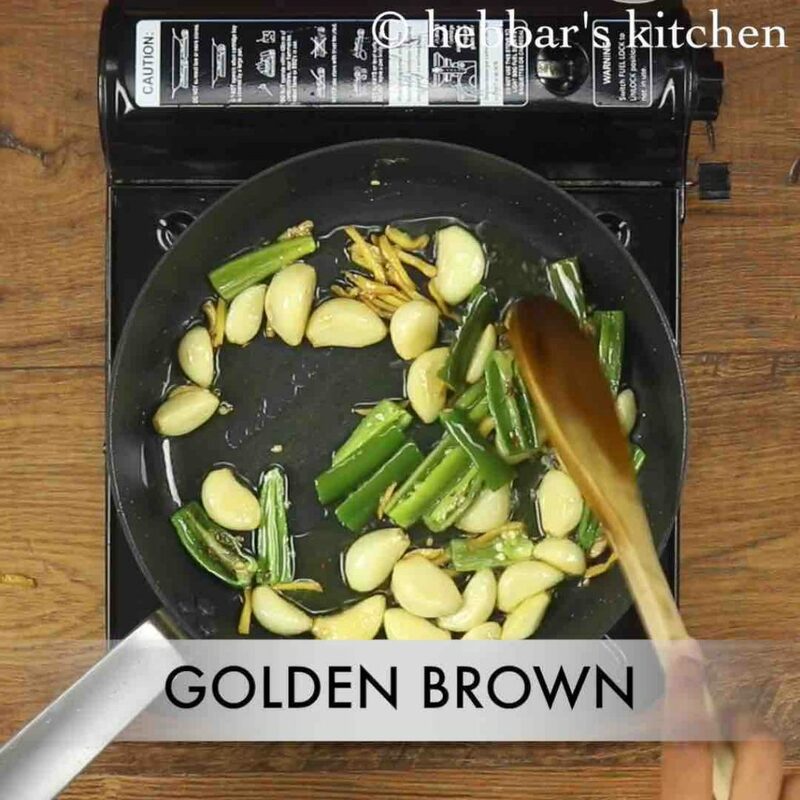 firstly, green chillies are not necessary in this recipe and can be prepared without it to prepare just garlic pickle recipe. secondly, i have used vegetable oil in this recipe, but i would highly recommend to use mustard oil or sesame oil. further, i have added lemon juice but it can be replaced it with white vinegar. 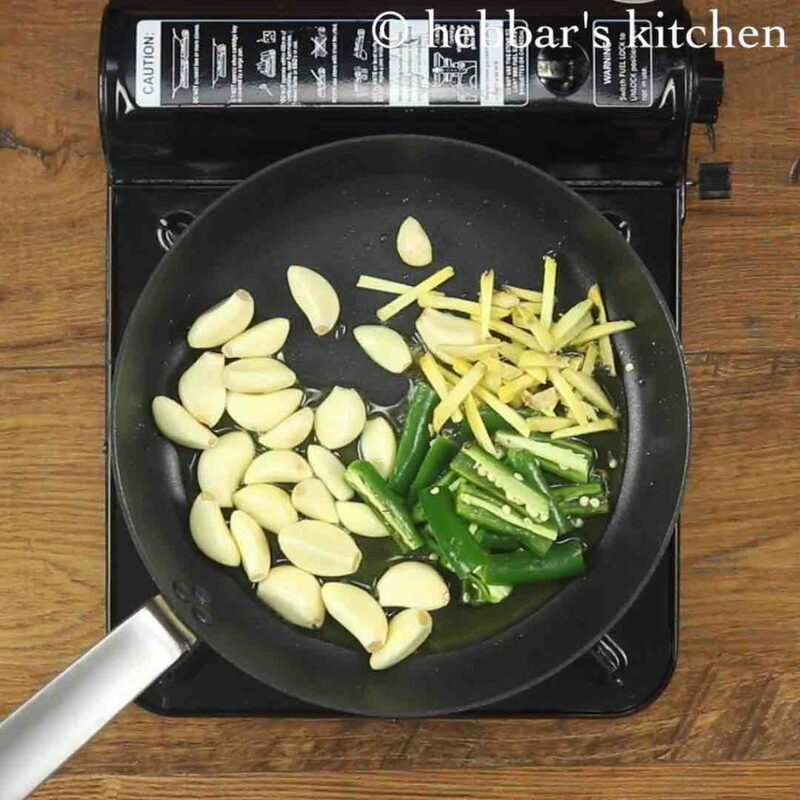 in addition the vinegar helps to improve the shelf life garlic chilli pickle recipe. firstly, in a pan heat ¼ cup oil. 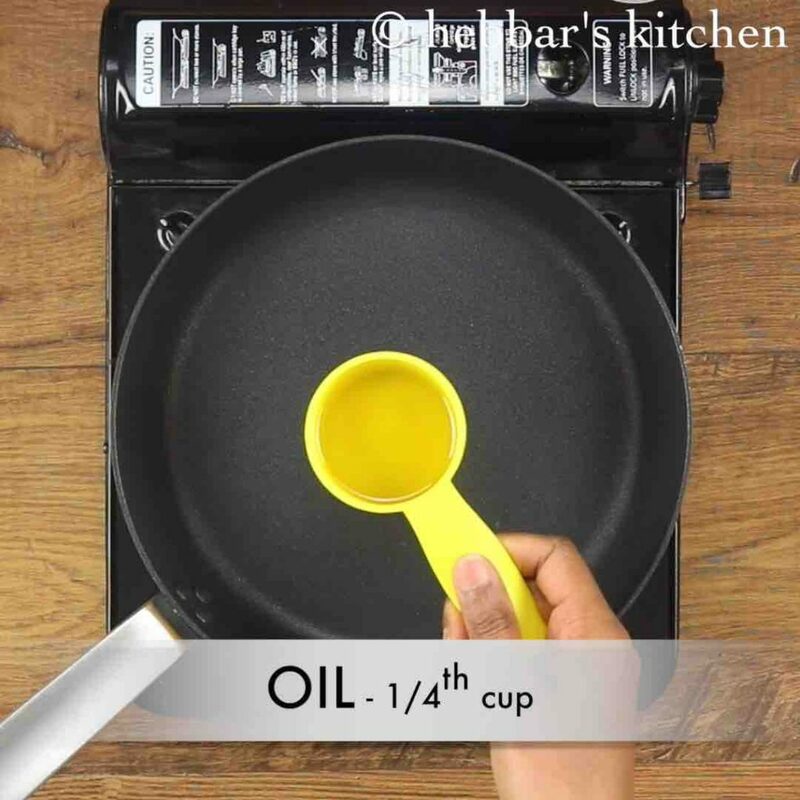 use mustard oil for more flavours. further add 25 cloves garlic, 3 green chilli and 3 inch ginger. saute on medium flame till the garlic turns slightly golden. do not over roast the garlic as it doesn't taste great for pickle. 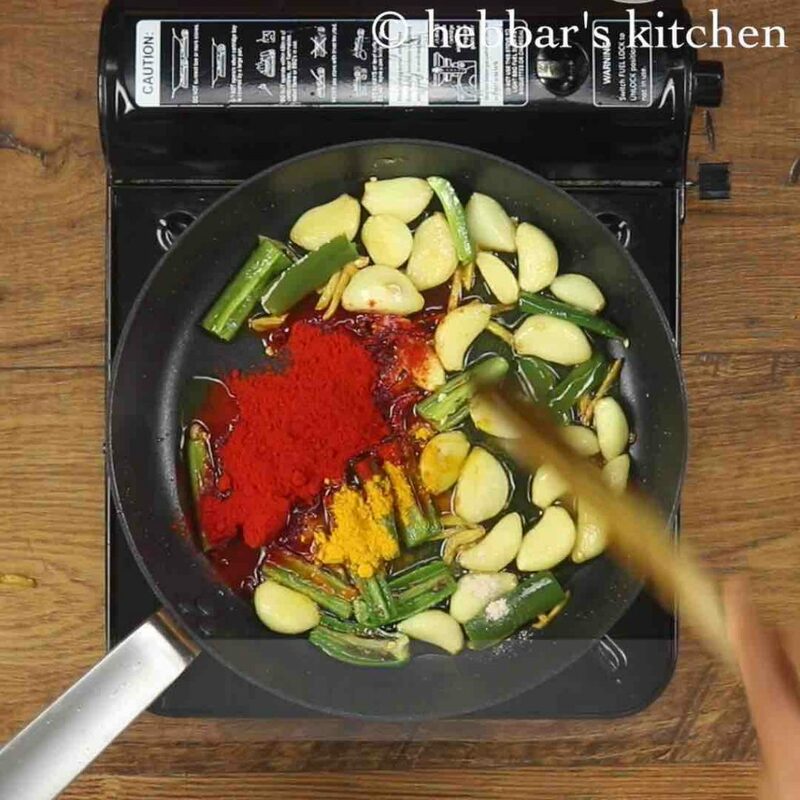 furthermore add 1 tbsp chilli powder, ½ tsp turmeric and pinch of hing. 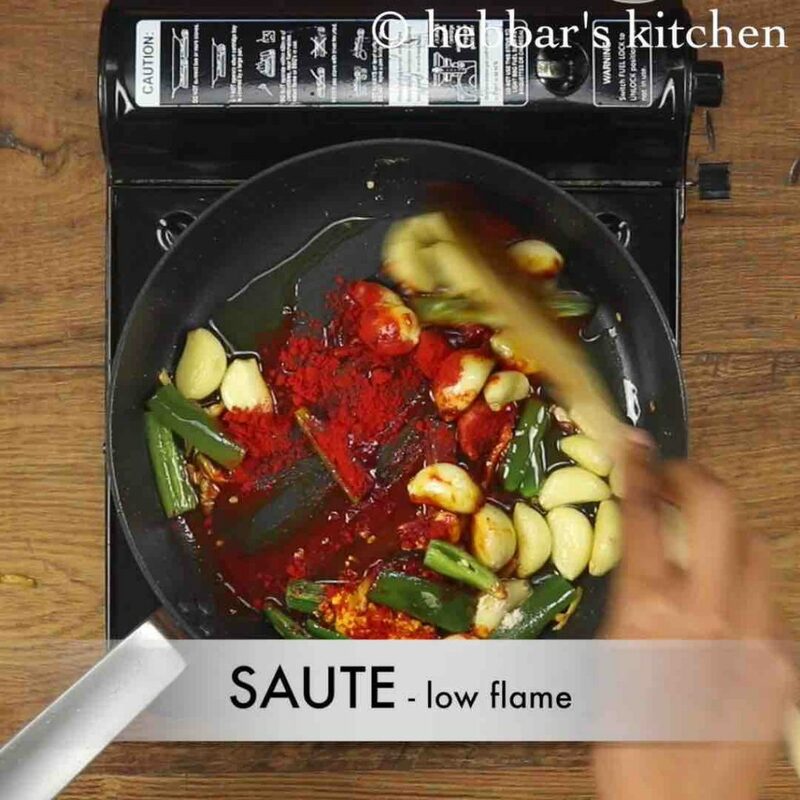 saute for 30 seconds on low flame or till spices gets cooked well. 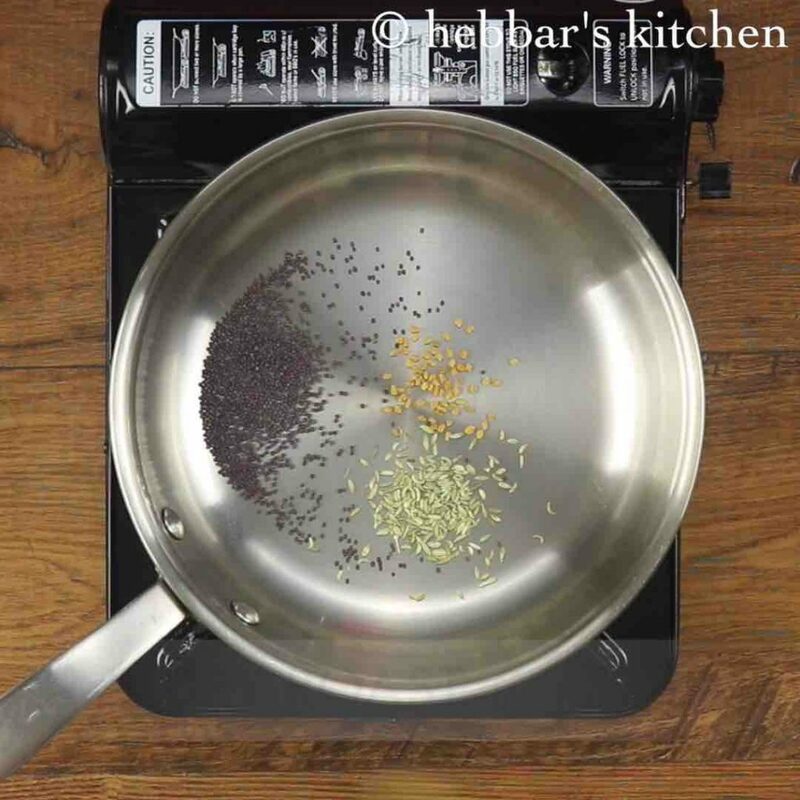 meanwhile, dry roast 1 tsp mustard, ¼ tsp methi and ½ tsp fennel. crush and powder them finely. 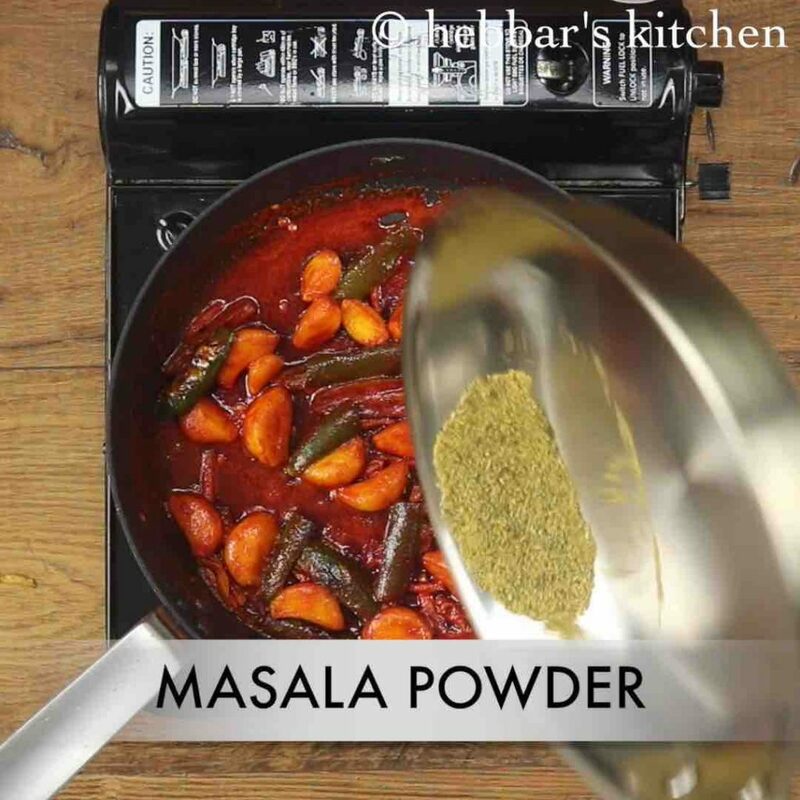 furthermore add powdered masala to the prepared garlic mixture. 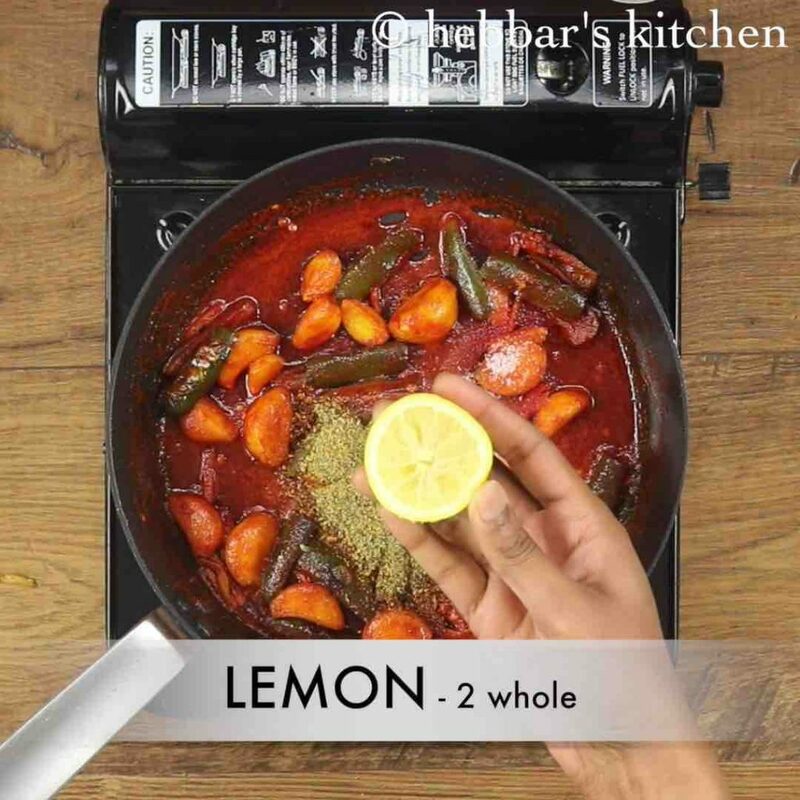 also add 1 tsp salt and 2 whole lemon juice. mix well. 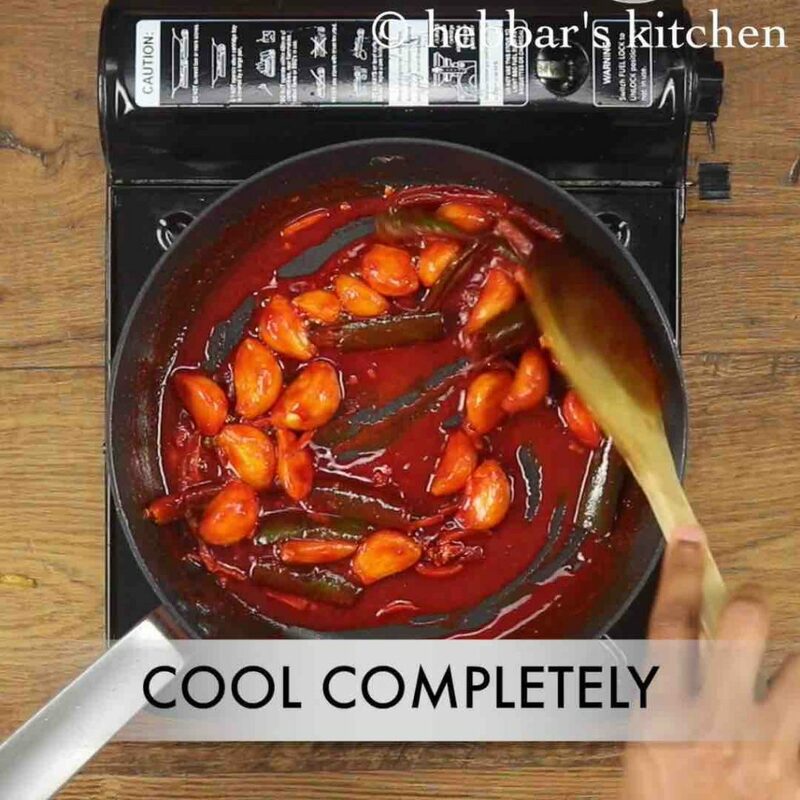 finally, serve instant chilli garlic pickle with paratha or curd rice. saute on medium flame till the garlic turns slightly golden. do not over roast the garlic as it doesn’t taste great for pickle. firstly, add more lemon juice if you are looking for watery pickle. also, to store pickle for longer time add 2-3 tbsp of vinegar, as it acts as preservative. 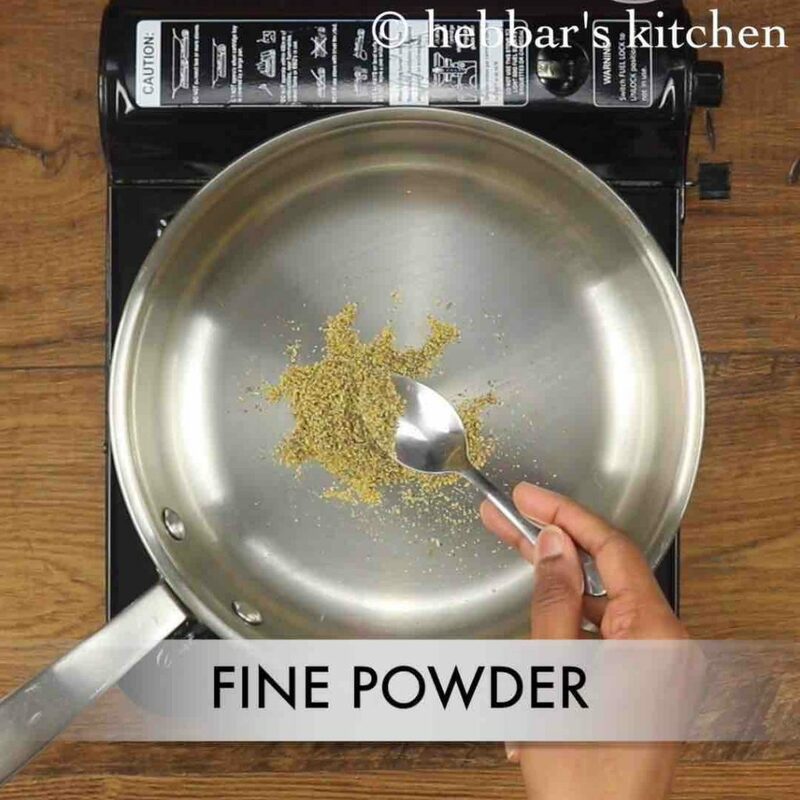 additionally, adjust the amount of chilli powder to you taste. finally, instant chilli garlic pickle stays good for a month when stored in refrigerator.